Also, you'll now able to select red hair, curly hair, white hair, and no hair as options on some characters. 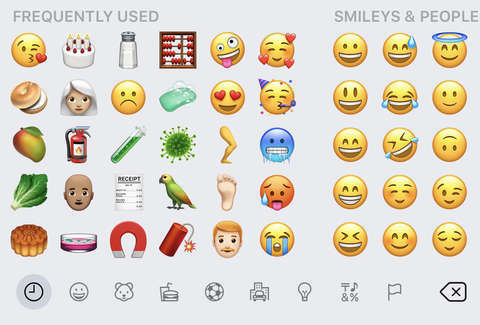 Emojipedia points out that this will be limited to only a few, however, and that, regrettably, the bald bride and red-headed runners are not yet options. To tap into the bottomless expressive potential of pictograms like the receipt emoji, just update your iPhone or iPad to iOS 12. If you're not sure how to do that, well, just go into the Settings app, tap on "Software Update," and do what the corporation tells you to do, like always. You'll be sending passive-aggressive lettuce in no time.